Discussion in 'Indian Army' started by MilSpec, Dec 22, 2016. George S. Patton famously said, “I do not have to tell you who won the war. You know, the artillery did.” There is a huge dilemma for the Indian artillery with this sentence. A nation that tries to maintain 3:1 ratio with Pakistan vis-à-vis its conventional firepower is reeling from decades of institutional inaction led obsolescence and some delays due to bizarre project planning and execution. Today as it stand, most of it’s prime artillery force is either decommissioned or in the state of dismay. Following is the head to head comparison between towed artillery of India and Pakistan. India total towed strength on paper stands at 4150 compared to Pakistan's 3278 which to begin with is a grave issue for a nation trying to maintain 1:3 ratio in conventional firepower against Pakistan. Add to the fact no one has the seen the S23 and D30 guns in action, neither does the Ordinance factory board produce any ammunition in 180mm and 122 mm calibers, that points to the fact these units are either mothballed or out of service. This brings the total strength of Indian towed artillery to 3500 units- almost neck and neck with a potential adversary where we supposedly brandish the term "numerical superiority". Pakistan fields couple of dozen of 203mm gun, and POF still manufactures the ammunition as it also possess 203mm Sel Propelled Guns. Whereas Indian heavy guns are out of action. Although this is not big advantage as 155 mm guns can discharge the duties of heavier guns circa WWII. In the modern 155 mm towed howitzer head to head competition, Indian Army falls short of it's objectives outgunning and outnumbering the opposition. India posses a total of 380 155mm guns compared to 394 Guns of Pakistan. This is quite perplexing as India had originally purchased about 410 155 FH77/B guns from Sweden with tech transfer, and only 200 of them survive. This points towards cannibalization of existing guns due to lack of spares which is pure negligence. Today OFB is touting that they are producing Dhanush 155mm guns for the army, a reasonable explanation is indeed needed for loosing half the fleet of FH77/B over the years, when we haven't had such terrible luck with the M46. where almost the entire fleet remains intact. Another reason to worry is the transfer of technology from turkey to Pakistan in building the MKEK Panter, Pakistan is churning out about 30-40 guns every year of this kind, and most likely end up with about 350 units in next couple of year. Metmorphosis gun has had tube blowouts a couple of times, so most likely it will run for the rest of it's life as low ring charges to avoid such situations, which will most likely bring down it's effective range from 39 km to about 25-28. So with the given inventory India does not possess the range or the numerical advantage over it's Pakistani counterparts. When it came to medium artillery, India traditionally maintained heavy superiority against Pakistan with its 130mm and 122 mm cannons. Given Indian Army has decided to pull back all of it's 122mm guns, Indian medium artillery looks abysmally weak in the comparison to Pakistani medium artillery. India has about 720 M46 130mm medium guns left in service, whereas Pakistan's 130mm M46 clones and 122 mm variants stand at a staggering 1243 units, almost 500 more medium guns than India. And this ratio will continue to skew as we eat into long range M46's and turn them into short range 155mm upgrade. Another aspect to note is Pakistani army's Type 54 is a 21 Caliber (Length) gun, i.e it's shorter and highly mobile gun. India on the other hand has chosen not to field any short range, highly mobile medium sized gun which can be used for border escalations. The only area where India posses an edge is in the light artillery with is indigenous 105mm work horses IFG and LFG units. India posses about 2400 field guns compared to 1643 guns comprising of 105 mm, 85mm and quarter pounders that Pakistan fields. One of the major advantages of the Indian Field Guns is the barrel length of 37 Caliber which is longer than all of the comparable 105mm Pakistani light Artillery, which gives it a significant range advantage. Also the Light Field Gun is highly mobile and offsets the portability of the 85mm guns of the adversary. This is one area where Indian army truly outguns the opposition in both range, effectiveness and inventory. Indian Army seems to have made up it's mind on consolidating 155 mm in different length-calibers as it mainstay in towed artillery. A 1600 towed gun contract seems to point at the same. Given Pakistans 155mm and Medium gun combined strength will stand at around 1900 guns in next 3-5 years, if Indian army want's to pitch a 2:1 ratio it will need a combined strength of atleast 4000 guns. As the 155mm inventory strength today stands at a measly 380 units, Indian establishment will still have a shortfall of about 2000 guns if it wants to get to a 1:2 ratio vis-a-vis Pakistan. With consolidation large and medium artillery Indian Army will need substantial efforts in converting most of it's m46 fleet with a proven barrel solution for the Beas/Metamorphosis Program which can add another 700 odd 155 mm modified guns to the inventory. the 1600 towed artillery system will need a revamp or even an introduction of another system along side the one chosen to get similar advantages as we have gained in local production of IFG and LFG guns. Given that India doesn't struggle in the Light Artillery, upgrade programs on 105mm LGF, along with catapult and kalyani Garuda ultralight guns can turn the Light Artillery into more efficient unit. Indian Artillery is in extremely poor state, and the red tape with acquisition of artillery system has put the lifes of our soldiers to risk. Given that half of the medium artillery is out of commission, and prime front line FH77/B fleet has been cannibalized to half it's size, it is of utmost importance to fast track both the development and the acquisition Processes for the towed artillery. Success story of the 105mm light Artillery has already set the precedence for Indian Army to follow local production of artillery system to be replicated in the 155mm category. Skull and Bones, Wolfpack, Inactive and 10 others like this. Skull and Bones, Wolfpack, Inactive and 3 others like this. For time being, upto 2025, this deficiency is covered by Close Air Support Aircraft. Further, India need quality not quantity. Precision hits. India greatly need guided rounds for indirect fire support. No R&D going on for guided rounds like Laser guided and IRNSS or NAVSTAR guided rounds. I prefer instead of developing ATAGS, pour those funds in guided round. And btw , cancel the self propelled artillery. lca-fan, nik141993, PachuWithLove and 4 others like this. One always need to consider cost and benefits. What benefits SPG bring in? And how much taxpayers have to pay? More importantly, Do India have money? Further, if SPG is such a wonderful weapon, and solve all Logistics and Lines of Communication problems, why production and induction of SPGs are too less in world? Why US prefer M777 over SPG? And now India bought M777 instead of clearing SPG. The reason are always same. It's not either or, both will be ordered (as will MGS and towed arty). M777 was ordered yes but K9s will be very soon. i think US prefers M777 beacuse of logistics as their battlefields are far from home country ,so SPG makes no sense to US Army. Mate, I would respectfully disagree. It's a very costly alternative of covering indirect fire by CAS, another issue is how is Pakistan able to maintain it's legacy equipment of the 70's quite well, and we have to cannibilize half the FH77/B fleet. The problem is current situation and no remedy to be seen for it. i will do a followup for rocket arty and SPH and the situation is even worse there. Quantity over quality. The beauty of artillery is volume it can deliver and the morale shattering consequences. Once the volley of incoming rounds starts, it causes chaos in the enmy ranks, and holds the opposition in their tracks. If had India had ever to move an IBG, the essence of pivot group is to scorch and occupy, In current situation, where CAS is already spread thin by decommissioning a good 150 Mig27M, a good chunk of fighters which could do important Air interdiction and Air Sup will have to be pulled back for CAS sacrificing teeth in the initial onslaught. Lack of medium arty is also an issue when it comes to level II escalations, but that is more or less covered by 105 mm Light field guns. We are over reliant on 105mm IFG and LFG, the reason being we have a bunch of them.... And we have a bunch of them beacause they were made in house. Same treatment should be given to Dhanush 45 and ATAGS52 even if Nexter ends up winning the 1600 gun competition. This entire exercise was vis-a-vis pakistan, without having taken China into account. In addition, if Dhanush and ATAGS 52 are successful, there is no reason why it cannot see exports to friendly nations. I will address SPH in a later post. Inactive, anant_s, R!CK and 2 others like this. Self propelled artillery provides mobility along with crew protection for advancing troops, one of the pivotal characteristics of the any fast moving strike corp to back it's infantry and armored brigade. Towed artillery is already in poor shape but the status of Self Propelled guns is purely shocking. Indian Army's self propelled artillery consisted of two formats of weapon systems, Conventional SPG's which superficially resemble tanks, but can provide light resistance against small arms and sharpnell, and a unique take on mobile artillery dubbed catapult, where a howitzer is stabilized and mounted on a tank chassis. 2S1 Gvozdika and the FV433 Abbot SPG formed the backbone of the conventional Self propelled gun, whereas the limited numbers of the m46 howitzer mated with the Vijyanta tank chassis formed it's catapult wing. As of now compared to the 325 Self propelled Guns that Pakistan's Army fields, India has ZERO guns. All of the 2S1 Gvozdika 122mm howitzers along the 122mm towed howitzers have been withdrawn from service, and the Vickers FV433 too has been retired due to lack of spares. So the ratio as of now stands 325:0, and that is the reality of much touted conventional superiority. With a minimum of 1:3 ratio against Pakistan Indian Army should have had at-least 975 Self Propelled Guns to be able to support forward deployment of mobile artillery units. India also needs multiple caliber strengths to ensure high mobility as well as cross country capability of the platforms. The interim solution was to build the Bhim SPG - essentially a Arjun Chassis mounted with the Denel L52 G5 self contained turret with the same turret being mounted on tatra trucks as a wheeled solution. The second track was to build the m46 based catapult on the Arjun chassis. The Bhim SPG was scuttled due to allegations corruption and the Arjun Catapult disappeared mysteriously. Indian army has already selected the K9 Vajra - Techwin-L&T SPG as the replacement for the 2S1 Gvozdika 122mm. 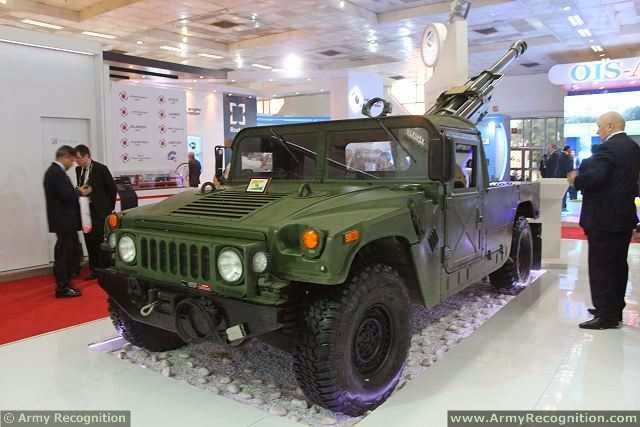 The rest would be filled by the "Mounted Gun System" a predominantly wheeled system which will bring contenders like the Tata 155 mounted gun - Which incidentally uses the same Denel L52 G5 turret which caused the Bhim to be cancelled. The system again is the same as was proposed by the OFB a decade back but in new avatar where it uses some targeting changes and a tata platform instead of the Tatra. Other contenders are the Kalyani Group/ELBIT Systems - Soltam, Larsen & Toubro/Nexter - Caesar, and the Punj Lloyd/Yugo 's - NORA. A few years ago incidentally the the towed versions of Soltam and G5 both failed accuracy trials of India, not that it says much as nature of Indian Army trails are always on the cusp of unrealistic. The acquisition plan falls straight at 800 mounted Guns + 100 SPG. The tracked self propelled gun, K9 Vajra's are on order, but the 800 mounted guns are again facing delays. 155 MM Catapult : Along with the current acquisition plans another approach to plug the gap for the High Mobility artillery would be to re-evaluate the Arjun Catapult with the Metamorphosis 155mm gun, as the prototype of the system with the same gun with the 130mm version exists and has been tested. With more than 700 M46 guns available for upgrades, and mounting system available, a re-engineered catapult with 155 mm M46 gun on one of the best cross country chassis, would be a efficient solution. Given that road map of Indian army only has 100 tracked units an additional 200 tracked catapults would be a lethal solution to provide artillery cover to fast moving infantry and armored brigades. Light Mobile Artillery - The effectiveness of the 105mm light field gun is renowned within the Indian army circles. Kalyani Group is offering such a solution with the Garuda, which is a highly mobile system and uses the OFB LFG as its primary gun. A mounted version of the 105 mm gun on a wheeled platform can provide a highly mobile light artillery out fit which can keep up with the ultra fast moving Regimental battalions of the Brigade of Guards. Inactive, Levina, Gessler and 8 others like this. 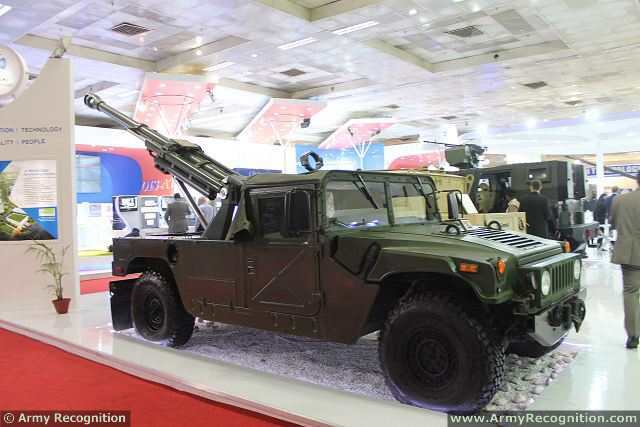 A totally noob question though, can't the Pinaka1 like Mlrs fill the role of howitzers? I mean they carry many bomblets in single rocket with greater accuracy. MLRS are great force multiplier, they can compliment Arty guns, but cannot completely fill the role of SPG's and Howitzers. MLRS systems have a role, but cannot supplement Howitzers. Especially Self propelled howitzers, in a pinch yes an explosive projectile is an explosive projectile, but the endurance that a howitzer provides cannot be done by a MLRS. Rocket arty is great for Shoot and scoot, massive destruction of an area when the exact location is unknown, or just to create the "fear of god" in the enemy, but when it comes to punishing strong holds of enemy position to provide fire support to advancing troops, nothing does it better than the big guns. Arty guns are extremely robust, reliable, cheaper to operate and can be quite precise. Accuracy and advanced warheads on the MLRS comes at a hefty premium, Katysha rockets, unguided fireworks fired from steel rails were gimmicky and barely took a life in WWII, BM21 grads on the other hand would fire all over the place, with stabilizers, the price of 122mm rocket prices went up, with higher case pressure, the tubes we no longer just thick galvanized tubes but engineered Carbon steel seamless pipes, now when you come to 300 mm smerchs and the Pinaka, all the fancy warheads, bomblets, guidance system makes the system makes the operating costs go up, e.g. A single Smerch costs these days about 12.5 million. lca-fan, Gessler, R!CK and 5 others like this. Great thread @MilSpec and @Agent_47 . And some good contributions from everyone. On my personal note: Towed guns are in no way a permanent alternate to SPH, and to be honest this has been realized by the armed forces. Next fiscal will see K9 getting inked and taking care of the long standing requirement of over 400 tracked units through out its production run. The over 400 unit requirement for Wheeled SPH will gather momentum from next FY and possibly get inked within 2 fiscals. Also there is currently a proposal by DRDO to use ATAGS for both wheeled and tracked SPH/MGS platforms based on its success. ATAGS being atleast 2 tons lighter than other 155mm 52 Cal howitzers in the market is being pitted as the best solution for SPH/MGS requirements. While I don't expect to have anything other than K9 for the 400+ tracked SPH requirement, ATAGS for wheeled SPH & MGS could supplement the foreign platform due to the combined requirements being pegged at over 1200 units. Bit old file but most projects are in same state. Wolfpack, Inactive, Gessler and 2 others like this. Absolutely correct status of the current Towed Artillery situation . Further we need to take into account China, as its not just Pakistan , we would need to keep enough numbers ready to counter 1/3rd of Chinese Armed Forces simultaneously. 1. 114 OFB Dhanush 155/45 Guns lined up with very decent specifications and can be called reliable too after the number of tests it had underwent. 2. 300 OFB Dhanush 155/52 Guns. These are further upgunned Bofors Successors.They will enter production by the time 114 order is executed. 3. 145 M777 155 Ultra Light Guns. These are the initial Numbers, and can be expected to grow upto 645 Guns. They will replace all the 105mm Light Field Guns all along China Border and in Kashmir. Virtually becoming Indian Army's Mainstay over there. 4. 1600+ DRDO/TATA+ ATAGS 155/52 NG HOWITZER , Under development currently , these would replace the Indian Field Gun and 122mm Soviet Guns. 5. There is a speculated MII program too with Soltam, Nexter and Denel competing with their 155/52 Guns for nearly 1200 Guns tender. 6. Indian Private sector has products ready like Bharat 52, 155/52 gun. 100-200 guns ordered will act to release a lot of pressure and will act as a sudden booster for Indian Army. 7. Light Gun Segment. India also needs new 105mm guns for their mobility, light weight and instant replies all along the LOC and others. Work in this direction should be pursued. Finally the MoD, IA and Development / Production Agencies need to ensure that the programs keep running smoothly , timelines and production goals are achieved. New Technologies imparted , Service and Over Haul is top notch. Inactive, Lion of Rajputana, R!CK and 1 other person like this. Self propelled artillery provides mobility along with crew protection for advancing troops, one of the pivotal characteristics of the any fast moving strike corp tBhim ck it's infantry and armored brigade. Towed artillery is already in poor shape but the status of Self Propelled guns is purely shocking. 1. 100 K9 VAJRA T. This would truly be something to boast of and once started , India should look to have no less than 550 Such pieces. Other option can be 250 K9 Vajra T and then get Bhim restarted and build another 300. No less than 550 such pieces if we intend to keep a capability to tear into Pakistan from the Thar within 48 hours. 2. 814 Mounted Gun System , India should look to finish this deal as soon as possible. Soltam , Ceaser and Archer are the front runners. 3. Catapults. We should continue to build catapults in the meantime.Would take care of interim shortfalls. 4. 105mm or even slightly bigger say 122mm light weight gun mounted on a Truck , like that of Garuda concept would be a very nice solution too. Inactive, Lion of Rajputana, MilSpec and 1 other person like this. 1.Pinaka MK1/2/3 Build and get as many as possible. And that too quickly. 2. As we have obtained the licence , nice numbers of Smerch should be built. 3. India should look for a lighter MBRL too , would be nice. Would cover up all the segments. Inactive, R!CK and Sathya like this.